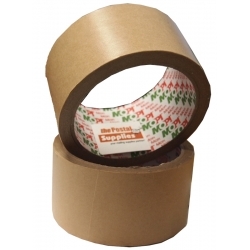 Kraft Paper Tapes give a more natural sealing finishing on Carton Boxes. They provide great bond to most packing products and surfaces. Commonly used for carton sealing purposes, packing etc.